Kenny Rogers Roasters is a chain of chicken-based restaurants, founded in 1991 by country musician Kenny Rogers and John Y. Brown, Jr., who was former governor of the U.S. state of Kentucky. Kenny Rogers Roasters restaurants offer a casual dining environment with rotisserie roasted chicken as the main core item, while complemented by a variety of hot and cold side dishes. 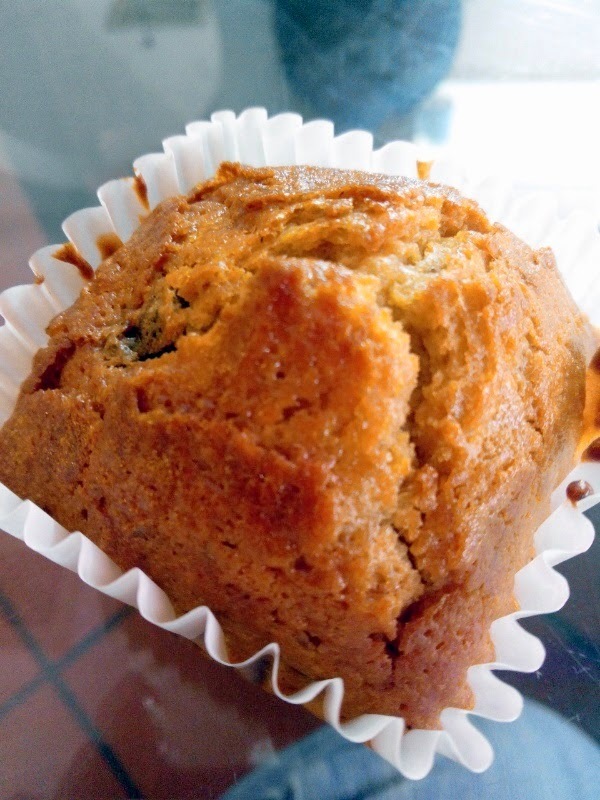 These dishes include muffins, coleslaw, mashed potato, vegetable salads, pastas, soups, desserts and beverages. Fresh chickens are marinated with citrus, herbs and spices. They are then rotated in a wood-fired rotisserie, allowing fat to escape, while sealing in the roasted flavor. 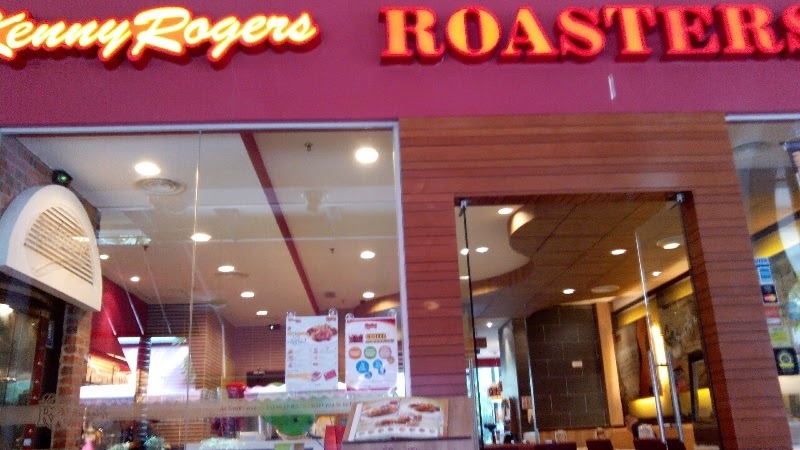 So yours truly had not had a Kenny Rogers Roasters meal for a couple of months now since the month of Ramadhan, and decided to bring the family here for a little treat. 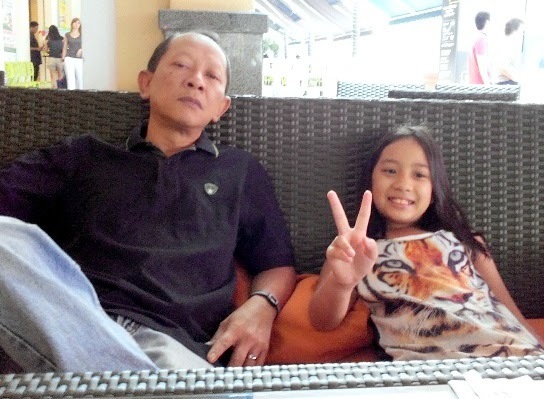 So it's 3 of us, hubby, cutie monkee /little daughter and me. 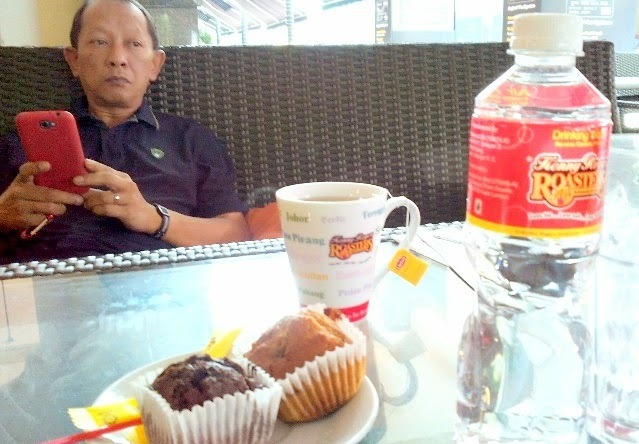 We had lunch at the Kenny Rogers Roasters outlet at the Curve but apparently the service was pretty slow. Hubby was getting pretty annoyed when we were still not served or noticed after being seated for a good 5 minutes at the outside dining area. 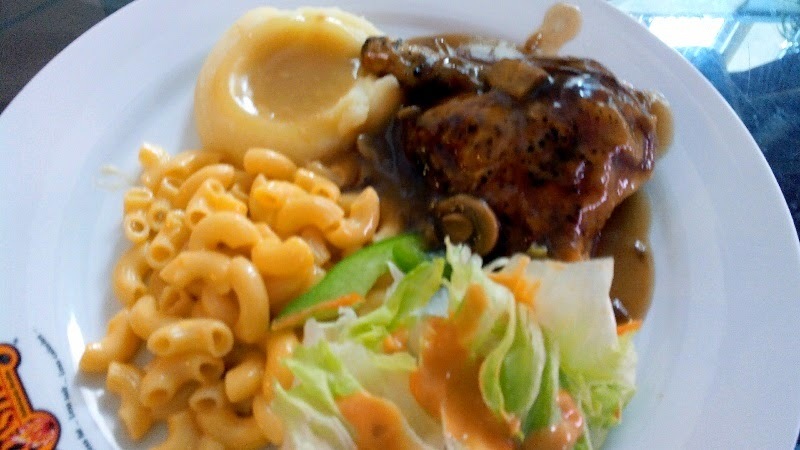 We ordered two Kenny Rogers Roasters quarter chicken with the side dishes and my little girl ordered the Roly Bowl consisting of just little cocktail sausages and a helping of the famous macaroni and cheese. 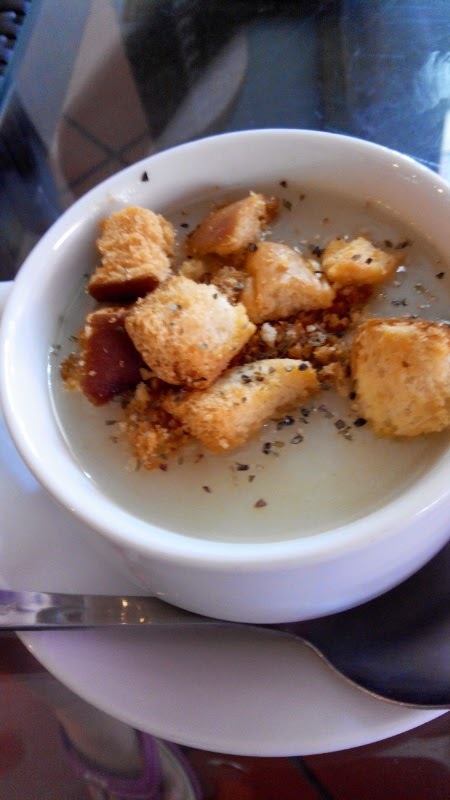 I also ordered the chicken soup which was marked as the special in the menu, it was served with croutons. The soup was pretty decent. I won't say that it is the best chicken soup but it was decent and tasted good. It was served with some mushrooms and also a generous serving of croutons on top. All quarter meal with side dishes came with a muffin. You can get a choice of either a vanilla, a banana or a chocolate. I like the banana muffin best. My husband got the chocolate one which he did not finish either and I had to finish it, and it contained raisins in it as well.